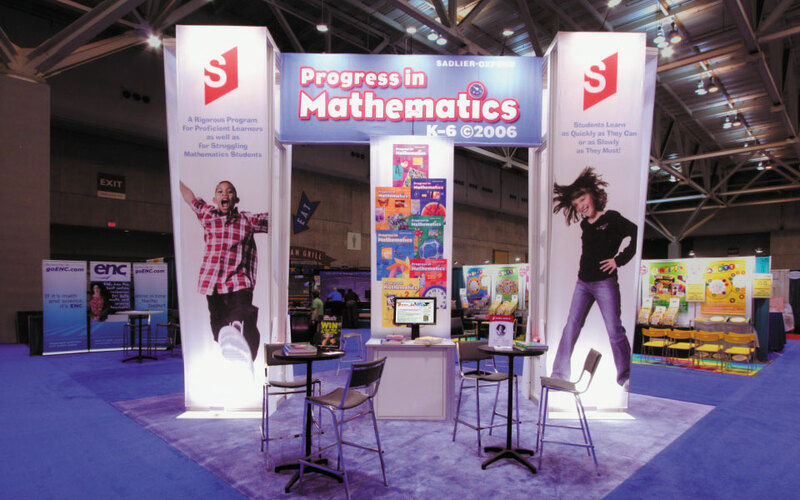 Custom exhibit rentals are a cost-effective and viable alternative to an exhibit purchase. A custom booth rental offers you flexibility of design while also providing configuration versatility. DisplayCraft’s rental properties include lightweight portable displays, modular exhibit systems and uniquely tailored custom exhibit environments. In addition, we can provide all ancillary trade show accessories such as cabinets, counters, furnishings and flooring. We can also design and produce powerful trade show graphic elements critical to getting your company noticed. To complete the circle, DisplayCraft’s exhibit services department will coordinate and manage your entire rental exhibit program from start to finish. All of our trade show rental display programs are entirely turnkey. At the close of each show, you need only take your product…and we can also make those arrangements for you. Contact Us to learn more about how DisplayCraft can provide a custom trade show booth rental solution for your next trade show or event.